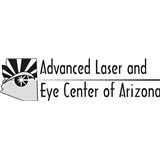 Advanced Laser and Eye Center of Arizona (Gilbert) - Book Appointment Online! Our Mission: To strive to provide the best possible care to ourpatients in a friendly and informative atmosphere. It is our goal that you understand your condition as well as receive treatment for it. We have found that an informed patient is the strongest ally in the treatment of any medical condition. Please don't hesitate to ask the doctor or our technical staff if you do not understand any part of your treatment.